Begin at the beginning: the pepper plant, growing from India to Indonesia to Madagascar, into long pepper vines wrapped around trees, trellises, the sides of homes. 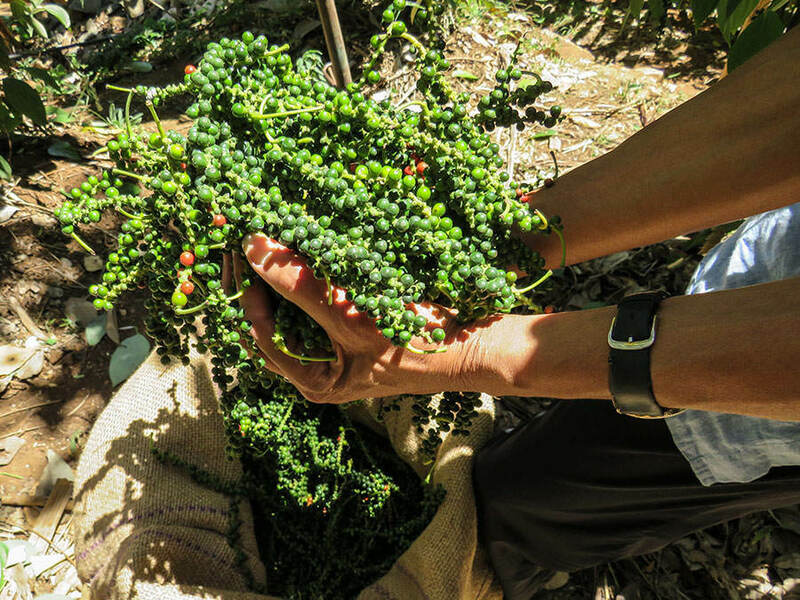 The fruit of these vines ripens to a bright, fragrant red, and from there they are dried to either black peppercorns or the mysterious white pepper. 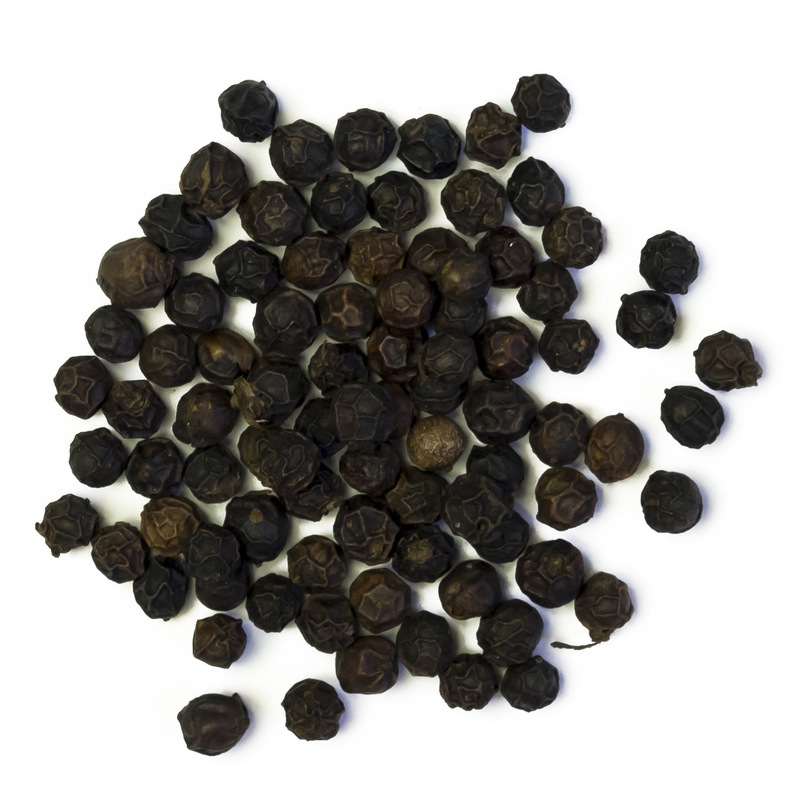 Black peppercorns are the dried fruit of the almost-mature pepper berry (in fact all pepper is from the same plant, piper nigrum). They are usually sundried, but can be oven dried, in a process that leaves the outer layer, the pericarp, oxidized and black (get ready for the word “pericarp” to show up a few times). So it’s just a dried berry. 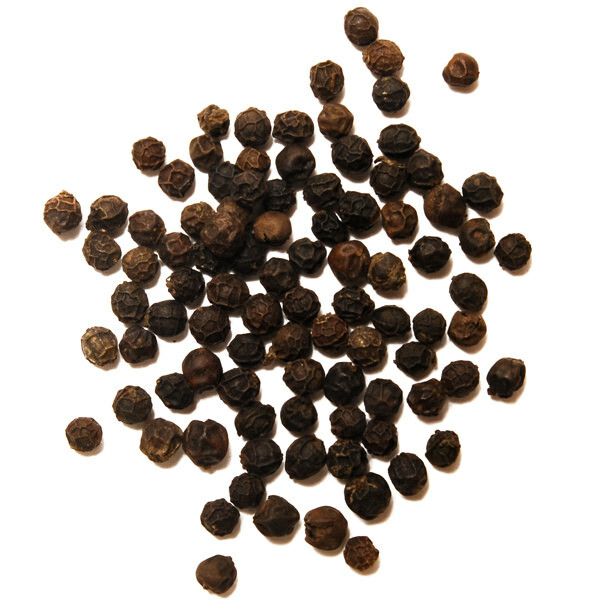 The drying process ignites a reaction that creates piperine, the active ingredient in pepper. From there, differences in age, terroir and maturity can lead to wild variations in pepper flavor. 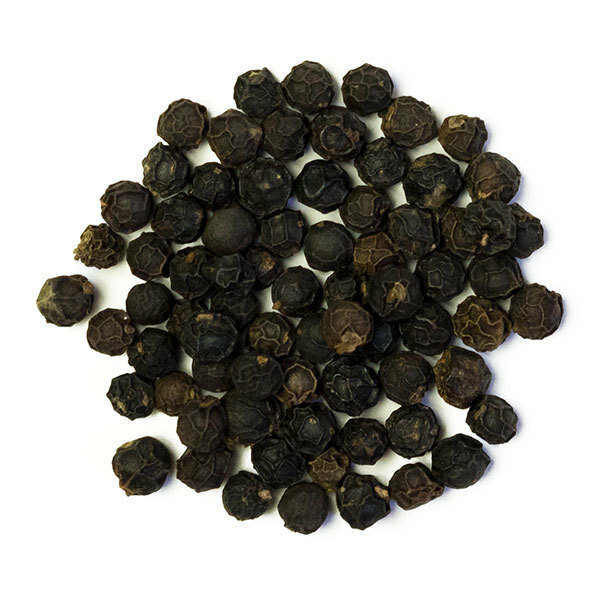 Tellicherry pepper is from an ancient pepper terroir, known for producing full-bodied, robust and familiar flavors. The smaller tribal pepper is a semi-wild and harvested young, for a fast, clean, hot bite. Rajakumari, the Princess of Peppers, is harvested at full maturity, creating a large, aromatic peppercorn with an exceptional lingering burn. 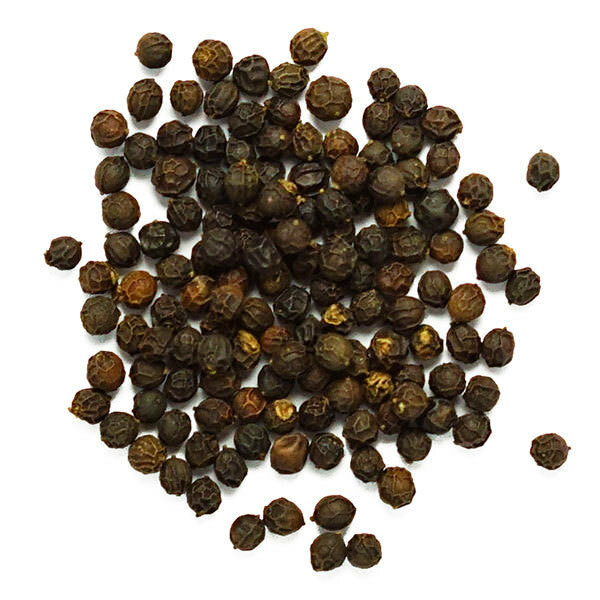 Malabar pepper is a regional blend, combining different peppercorns for a well-balanced flavor. White pepper’s unique processing leaves it pure, raw and potent. It is traditionally placed in sacks and lowered into running water, causing the pericarp to decompose. 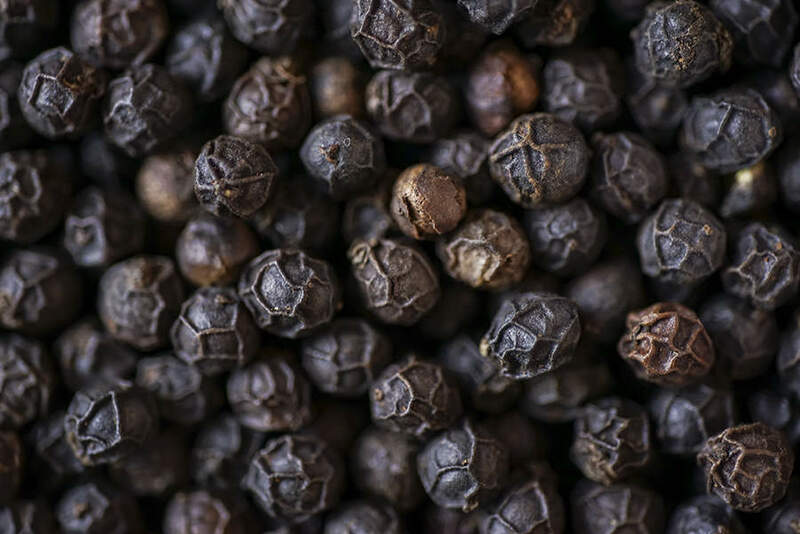 Without the pericarp, white pepper loses many of aromatics, but concentrates a few flavors- notably piperine- leaving a hot, pure bite. 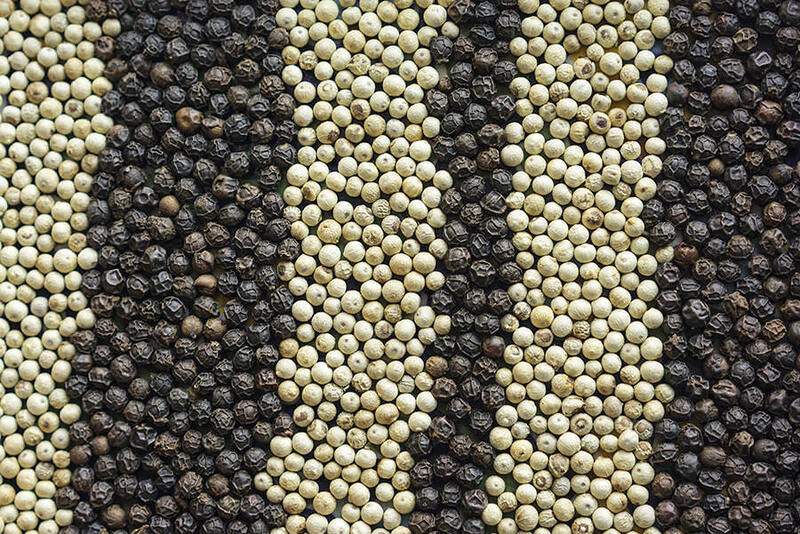 This process is most popular in Indonesia, where many say the boldest white pepper comes from, although Vietnam produces a strong, grassy variety as well. 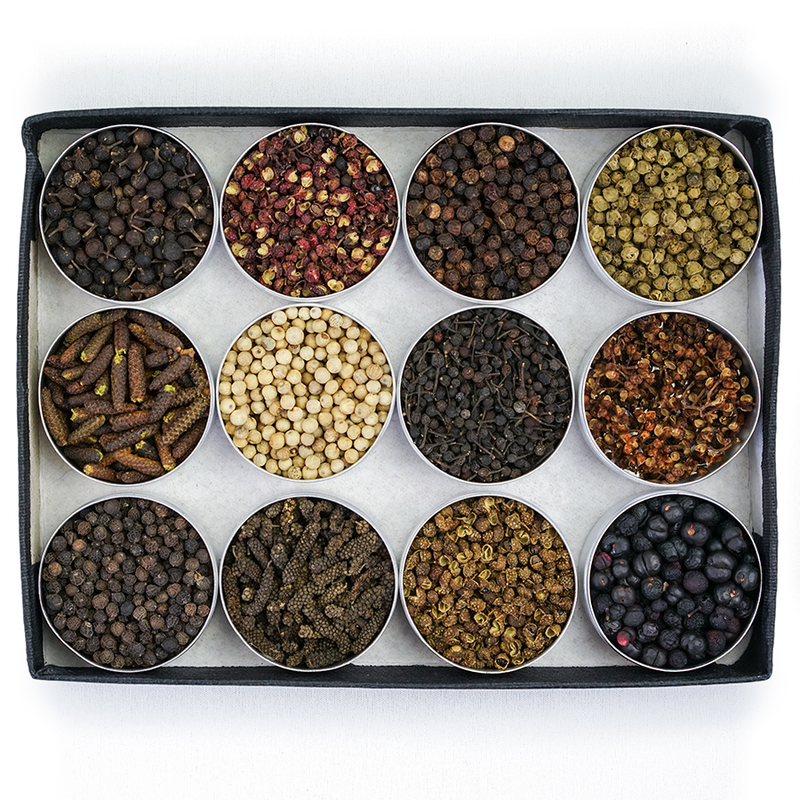 In white pepper vs black pepper, white pepper doesn’t always win: its unique flavor is not preferred by some. The water decomposition of the pericarp sometimes leaves a grassy, fermented aroma that black pepper lovers are unused to. This leads some to search for for a white pepper substitute. 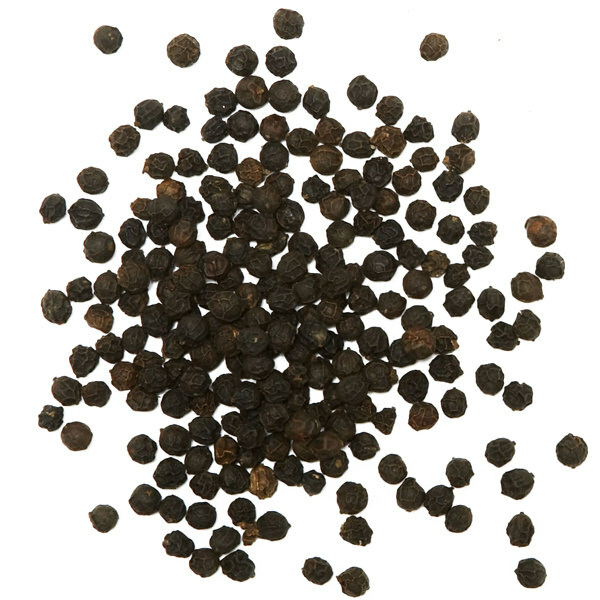 White pepper is generally called for in specific circumstances, so finding a white pepper substitute that is not green or black is not easy. 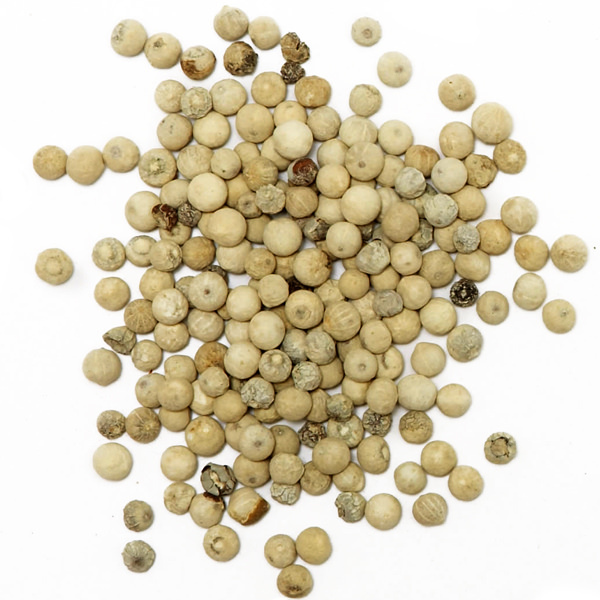 Not all white peppercorns produce this flavor: it is often the result of poorly packed sacks, which do not remove the pericarp evenly. 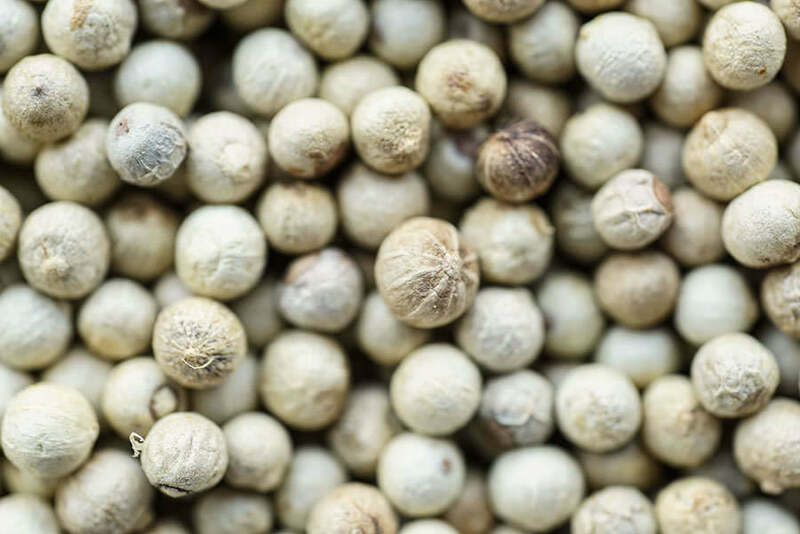 Indonesian white pepper produced with traditional water fermentation produces clean, hot peppers with earthy, not hay-like aromas. For those in search of a pure pipierine bite with no interfering flavors, white Voatsperifery from Madagascar is a worth discovering. The best white pepper substitute may just be a quality white pepper. So where do peppercorns come from? Turns out the answer you give depends a lot on what you want from your pepper. 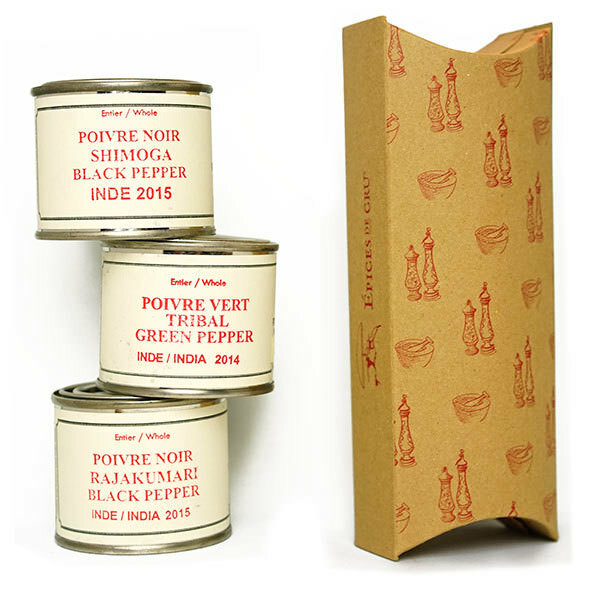 You could say India, or Kerala, or even cite Tellicherry pepper or Malabar pepper to name some terroirs, and enjoy their different falvors. 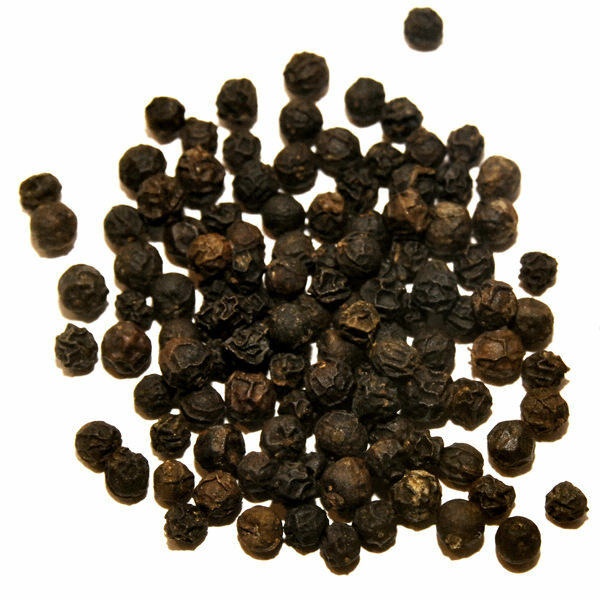 Or you could go in a different direction, wade into the black pepper vs white pepper world, and consider the many techniques that make a pepper berry into a whole peppercorn.